OneEastern | An alumni community supporting LGBTQ students and staff at Eastern University. Recently, Gordon College, a Christian school near Boston, MA, has been in the news after its president signed a letter asking for exemption to a ban against discrimination. While Gordon College received much attention, it is not the only higher education institution to sign such a letter. Eastern University’s President Robert Duffett also co-signed a letter, which seeks the right for Eastern University to discriminate against LGBT individuals.1 Such an exemption would allow Eastern University to discriminate against LGBT students, faculty, and staff. While Dr. Duffett’s request for the ability to discriminate is disturbing, it is also troubling that his request has not been widely shared with the Eastern University community. Further, it is also worth noting that Gordon College is potentially jeopardizing their accreditation… something that could very easily also happen to Eastern University. Below is a petition asking Dr. Duffett to rescind his request for the ability to discriminate against LGBT individuals. Please sign the petition, and ask your family and friends to join us! Our position has not changed; Eastern University will not discriminate against students or employees based on sexual orientation. One of the most significant theological tenets of the Baptist movement is the separation of Church and State. This means no government has the right to determine theological views and practices of religious institutions. I signed the petition with this Baptist theological conviction in mind. 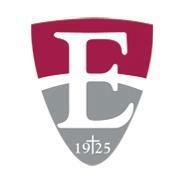 that has allowed Eastern University to flourish for almost 90 years. 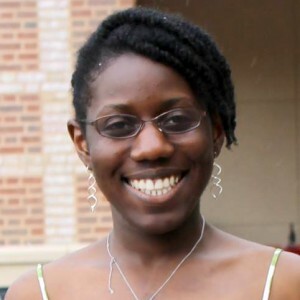 We are very excited to welcome Guest Contributor, Angélique Gravely! 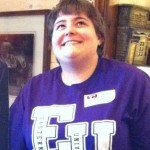 Angélique is a 2013 graduate of Eastern University. I have this bad habit of telling myself that my personal suffering or experiences of injustice are unimportant, because they are not always the kind of suffering discussed. They’re not that deep traumatic suffering which crushes your heart and shakes your soul when you acknowledge their existence; therefore, my experiences must be trivial regardless of how deeply they still hurt me. I tend to feel like my suffering is not bad enough to share with people outside my close friend group because there are so many people who suffer more;thus,I keep parts of my story to myself in order to make room for those people who really deserve to have their stories heard. Well, I’m trying to get over that which is why I want to write about my problems with the Christian college I attended. Problems rooted in the fact that I’m queer.